If you've ever perused the vitamin and supplement section at your local pharmacy or health store, you might be wondering, "What is magnesium used for?" It turns out that magnesium is a critical component for many of our body's main functions. Magnesium is found naturally in unprocessed foods, including green vegetables, legumes, nuts, unrefined grains, fish, and potatoes. If you are looking for foods high in magnesium, spinach is a wonderful option. 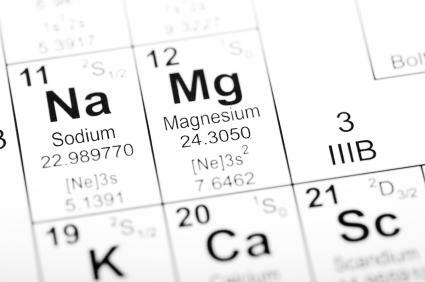 Magnesium supplementation is suggested or prescribed for numerous ailments, but only a physician can determine if a deficiency actually exists. If you suspect a deficiency, consult with your doctor. Do not start a supplementation regimen on your own because too much magnesium can be dangerous. There are different forms of magnesium, and each has its own set of uses and indications. Epsom salts sooths aches and can help improve your mood. Magnesium sulfate, or Epsom salts, are useful for dealing with a variety of muscle aches and pains. Epsom salts baths are popular among athletes, but the general public can also see benefits from them. Simply add a cup of Epsom salts to running warm water and soak as tolerated. An added benefit to Epsom salt baths is increased serotonin, which means a better mood and relaxed spirit. For added relaxation, add a couple drops of essential oils, such as lavender. Magnesium sulfate has more far-reaching benefits that simple aches and tired muscles, though. 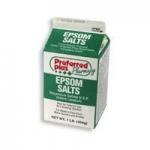 Epsom salts gel has been found to reduce pain in sufferers of fibromyalgia and osteoporosis. Magnesium sulfate is also used during pregnancy in emergency situations to prevent preterm labor and other complications. Some doctors use magnesium sulfate to treat preeclampsia. Magnesium sulfate in IV form is also used to try to prevent cerebral palsy in premature infants. A pregnant woman should not self-treat with magnesium as these treatments should only be undertaken with strict medical supervision, often in a hospital setting. Recent trials and studies have found important benefits of magnesium supplementation for children with attention deficit hyperactivity disorder. For example, a 2006 study by Mousain-Bosc found that children with ADHD had much lower magnesium levels than normal. Therapies combining magnesium and vitamin B6 have shown great progress, with decreased activity and aggression, along with an increase in attention span. Epsom salts are used as a laxative for occasional constipation. In addition, magnesium citrate is used as a saline laxative. This is a slightly harsher and more effective laxative regimen and is often used to cleanse the bowels for surgery or colonoscopies. Now you know the answer to the question, "What is magnesium used for?" If you are concerned about your magnesium levels, ask your doctor if supplementation might be right for you.